Kathleen Tyner is the lead researcher for GAMILearning from the University of Texas at Austin. She is an Associate Professor in the Department of Radio-Television-Film in the Moody College of Communication at The University of Texas at Austin. Professor Tyner specializes in research related to media literacy, media arts, community media, serious games and youth media. 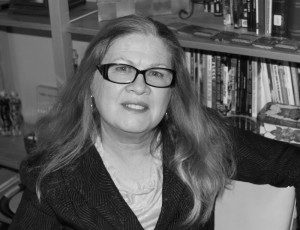 She is author, co-author and editor of numerous books, articles and curricular materials related to media arts and education, including Media Literacy (Routledge, 2010) and Literacy in a Digital World: Teaching and Learning in the Age of Information (Erlbaum, 1998). Professor Tyner works internationally with non-profit organizations, museums and artists to support research and community media projects for education, health communication, civic participation and the arts. In addition to GAMILearning, her recent projects include work with WeOwnTV in Sierra Leone, Optic Flare and Canyon Cinema in San Francisco, the U.S. Embassy in Spain, and GAMILearning in Portugal. She is also a member of editorial boards and scientific committees for publications such as The Journal of Community Engagement Through Digital and Media Literacy (Queens University of Charlotte) and Revista Communicar (Spain).